We are happy to launch BSEARWER, PLM Search Engine, which will change the way Parts are searched. 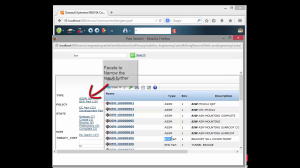 PLM search is generally cumbersome and user needs to remember & enter lot of fields to find Part or any other item. What if you can enter keyword in Single field, which can search through all the indexed fields and throw you a result which you can filter, the way you are used to filter results on an ecommerce site (using Facets). BrainWave Consulting is happy to introduce BSEARWER, a lighting search, which doesn’t load your database but runs as a separate server and throws results very fast. For details about BSEARWER & see a demo at http://plmindia.com/bsearwer-plm-search/ . Prev:What is your Return on PLM investment?